For a study published this month (November 1) in the Journal of Experimental Biology, the researchers brought some turtles—commonly available at food markets in China and southeast Asia—into the lab. First they measured urea coming from the rear end, and then levels of the compound found in the water into which turtles had plunged their heads. 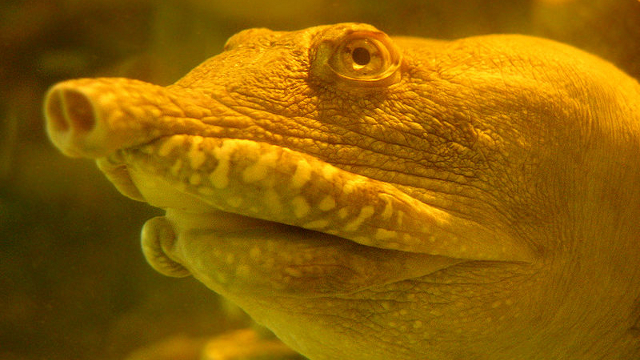 They found that just 6 percent of the urea the turtles produced was excreted as urine from their kidneys and out of the cloaca, the single orifice used for waste matter and reproduction; the rest was expelled through the mouth, where it mixes with salt water to become a urine-like liquid. It turns out that the velvety parts of the turtles’ mouths—thought to act like gills to allow them to stay underwater for long periods—are covered with proteins that flush urea out of cells. The authors suggest that the method may have evolved so the turtles could avoid dehydration as a result of losing liquids through conventional urination. It also means they don’t have to replace lost fluids by drinking salty water, which would result in a toxic build up. Instead, they just gurgle some and spit. 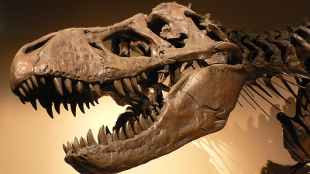 Best known as the apex predator and most ferocious carnivore of the Jurassic era, Tyrannosaurus may have been more deliberate with its prey than previously realized. According to research presented last month (October 20) at the annual meeting of the Society for Vertebrate Palaeontology in Raleigh, North Carolina, when it came to feeding on Triceratops, T. rex probably pulled its prey’s armored head from its body to get at the tender neck meat—and may even have nibbled at the delicate muscles around the face. Taking a closer look at a collection of bite-scarred Triceratops skulls, palaeontologists at the Museum of the Rockies in Bozeman, Montana, noticed extensive puncture and pull marks on the neck and frills of some specimens. That was surprising, because these parts are made of bone and keratin—not the most appetizing or nutritious. But then they realized that the marks may not indicate what T. rex was eating, but how it was carefully manipulating its prey to get at the neck muscles. “It’s gruesome, but the easiest way to do this was to pull the head off,” explains Denver Fowler, lead author of the study, told Nature. The team also found delicate-looking bite marks along the front of several Triceratops skulls, leading them to suggest that they could be evidence of gentle chewing on the meat found on the face. Archer fish (Toxotes jaculatrix) spit out jets of water to knock their prey from branches above the waterline of their mangrove and estuarine habitats. But how these 6-cm-long tiddlers generate enough power enough to dislodge insects and spiders has been a mystery. 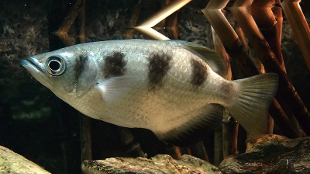 In a report published last month (October 24) in PLOS ONE, scientists uncovered the archer fish’s secret. Working in an aquarium, researchers at the University of Milan used a high-speed camera to film two archer fish spouting water at targets placed 15 cm above the waterline. Analyzing the water jets in slow motion, they noticed that the velocity increased as the fish continued to expel water. This back-end power forces more water towards the front of the jet, increasing the power delivered on impact. 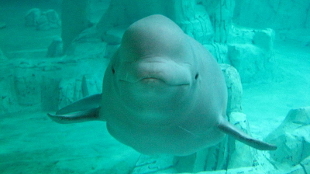 It sounds like an angry toddler playing a kazoo in the bath, but marine biologists say the vocalizations of a captive beluga whale called NOC may have been spontaneous attempts to mimic human speech—something not properly recorded before in whales. The story began in May 1984 when a diver at the National Marine Mammal Foundation (NMMF) in San Diego, California, thought he’d heard NOC tell him to “get out of the water.” Recording the whale, NMMF researchers found that his vocals outbursts lasted for around 3 seconds with pauses of less than half a second, a similar rhythm to human speech. His calls were also several octaves lower than normal whale calls, and similar to the frequency range used in human speech. Captivated by this ability, the researchers trained NOC to make the speech-like sounds on command, and fitted him with instruments to record air pressure in his naval cavity, where the sounds are produced. They discovered that he had to over-inflate his vestibular sacs, which usually act keep water out of the lungs, to hit the low notes. Their results, published last month (October 22) in Current Biology, are the first hint that whales might spontaneously mimic human speech. “The sounds we heard were clearly an example of vocal learning by the white whale,” Sam Ridgeway, lead author on the study, told BBC News. Ridgway originally presented his findings at a conference in the 1980s, he told Not Exactly Rocket Science, but the pressure to report funded work meant the research got sidelined until recently, when colleagues urged him to publish. Everyone knows that honeybees can deliver a painful sting when threatened, but the fluffy pollinators can also inflict a nasty bite on enemies too small to target with a stinger. Using their tiny mandibles, the bees inject an anaesthetic, called 2-Heptanone (2-H), that immediately paralyzes pests, making it easier for the bees to eject them from the colony, according to a study out last month (October 16) in PLOS ONE. Researchers had previously thought 2-H was used as an alarm pheromone. But by comparing the effects of 2-H and lidocaine—a local anaesthetic used on humans—on the two hive pests, a team in Greece has now demonstrated that the chemical acts as an anaesthetic that stuns the invaders for two minutes but does no lasting damage. 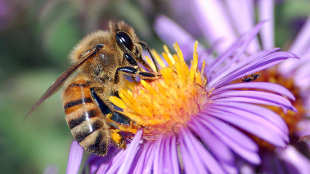 “It is amazing that this second line of honeybee defense has gone undetected for so long,” Alexandros Papachristoforou, a biologist at the University of Thessaloniki in Greece and lead author of the study, told The Daily Telegraph. And because 2-H exhibits only minor neurotoxicity, the researchers say it could potentially be developed into a new local anaesthetic for use in human and veterinary medicine.